With individualized dental care throughout your life, you can help to ensure that your teeth and gums stay healthy. 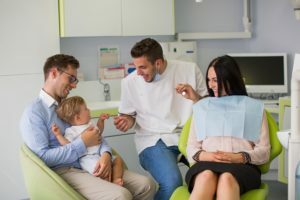 To make it easier to achieve optimal oral health, you need a great dentist in Melbourne by your side who offers all the services you need over the years. With complete dental care from one location, you will save time and money while benefiting from one amazing dental team. At Exceptional Dentistry, Dr. Beverly Rose is the dentist for you. She offers the services you need through all stages of life to maintain a healthy smile.